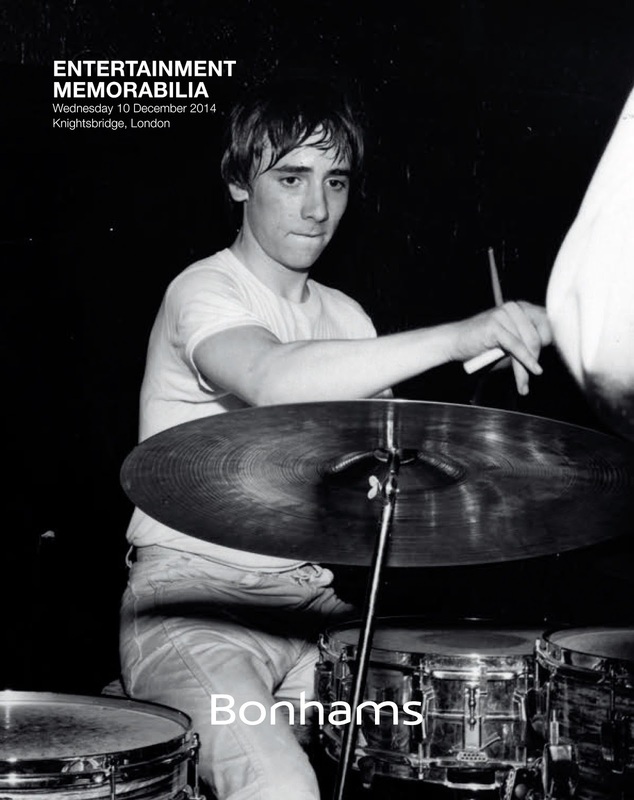 Can’t believe 2014 is nearly over - so to confirm its immenant demise Bonhams are holding their usual December Entertainment Memorabilia sale. Must say I’m a little puzzled by this item in the catalogue. If the photograph is to be gone by, it sold in last year’s December 2013 Bonhams sale for an eye-watering £6,250. Curious to see it’s back up for sale for a mere £2,000 to £3,000. 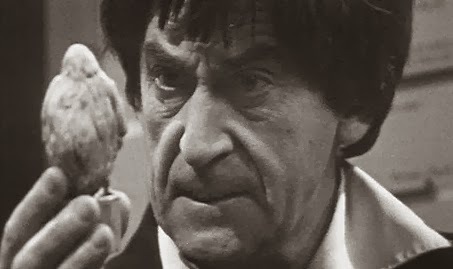 Doctor Who/Patrick Troughton - The Web Of Fear: An original prop Yeti homing device, BBC 1968, the hollow figure of stained mixed media resin, mounted on a base, accompanied by a black and white still [printed later] from the film, height - 4¾ inches (11.5cm). Provenance: From the Esate of Bob Slatford, BBC Visual Effects Department between 1986-1974, working alongside Jack Kine and Bernard Wilkie. 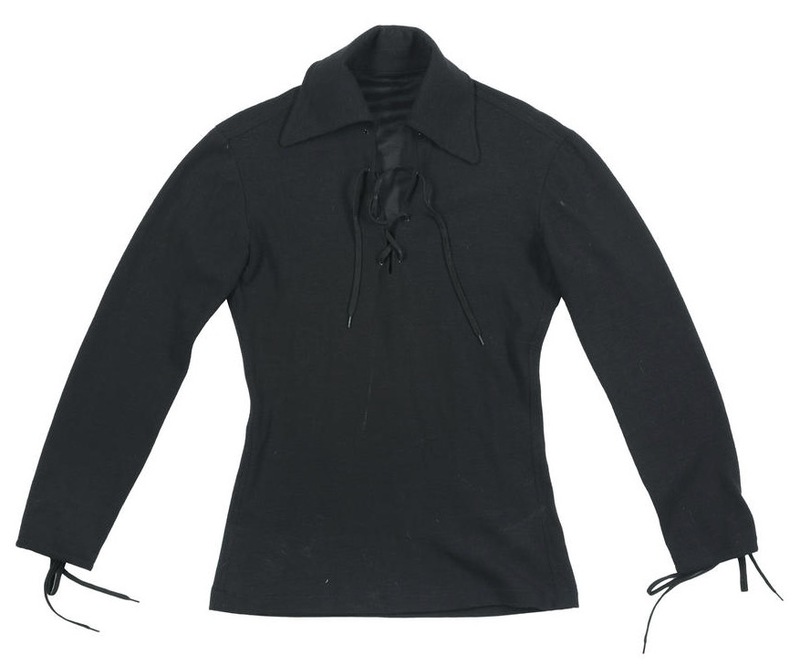 Doctor Who - The Seeds Of Death: A bespoke shirt made for Frazer Hines as the character Jamie McCrimmon, BBC, 1969, the black shirt with three quarter length sleeves with ties to cuffs and neck, made by costume designer Bobbi Bartlett, accompanied by a document from Frazer Hines concerning the provenance. 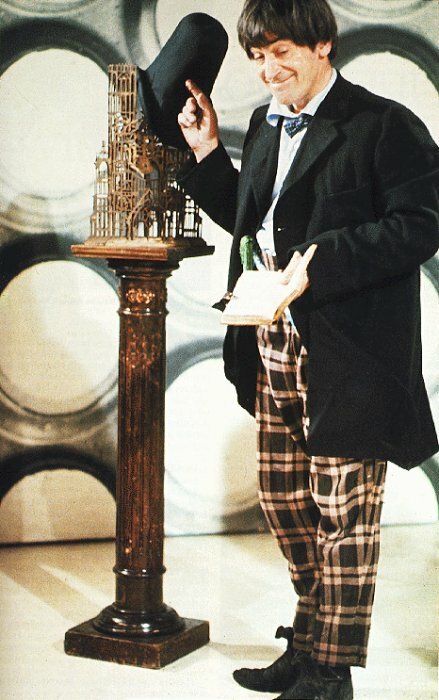 The character Jamie McCrimmon normally wore a khaki shirt along with a kilt during his senes in Doctor Who. However this shirt was made for Frazer Hines to add some variety to his character's wardrobe and is the only one that was produced. It has remained in Hines' collection ever since.